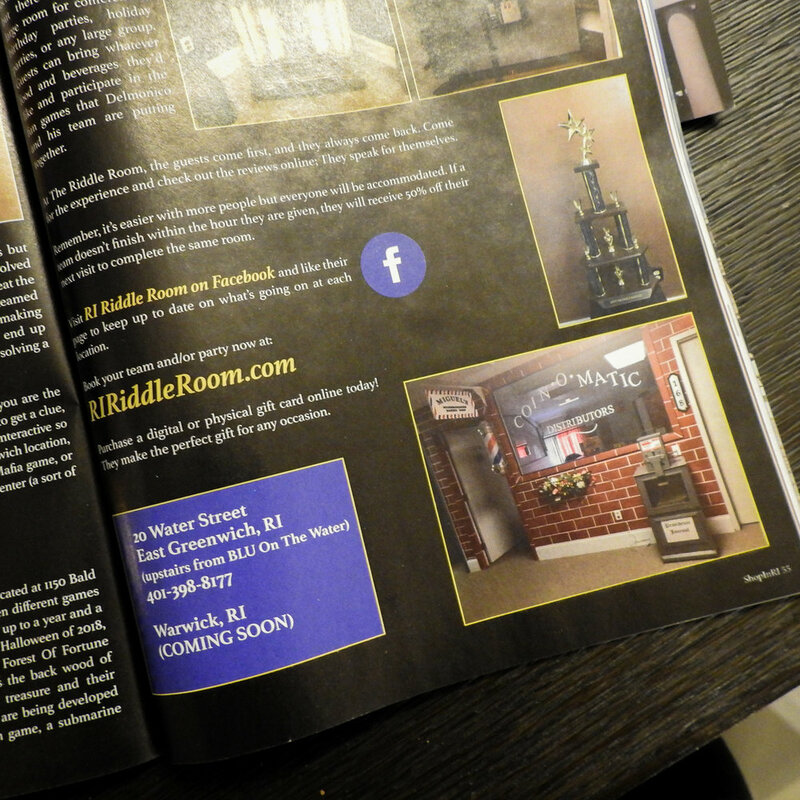 Check out our feature in Shop in RI Magazine and learn more about The Riddle Room. Continue to support local businesses and Shop RI! 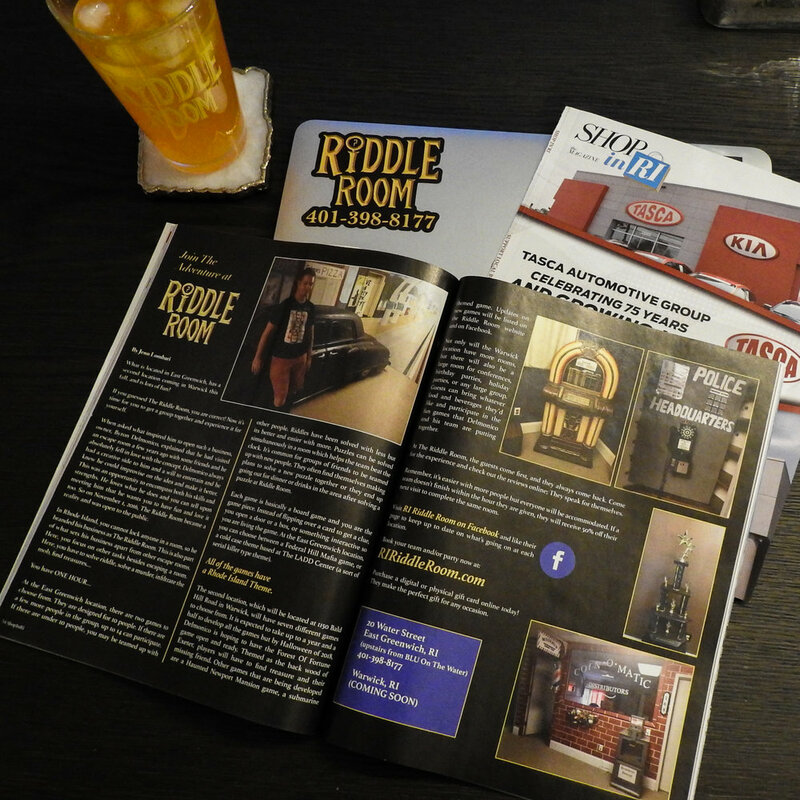 All of our games have some #RhodeIsland history. 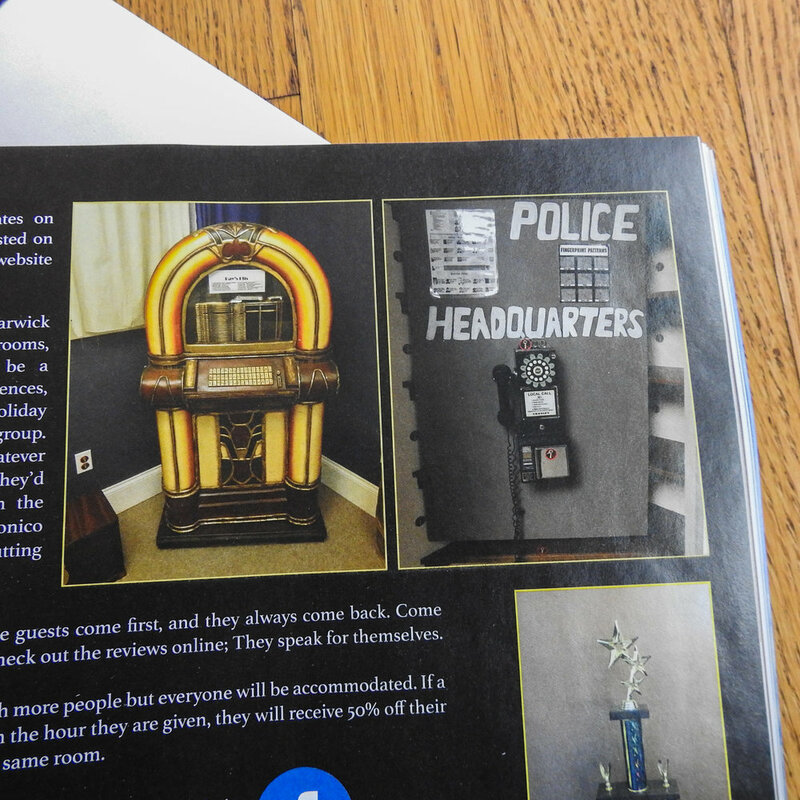 Images featured are from our La Cosa Nostra game.